Every batter knows that when he or she is at the batting end of the plate, the key aim is to hit right and hit hard. Hitting right means attempting to hit a home run as often as possible. 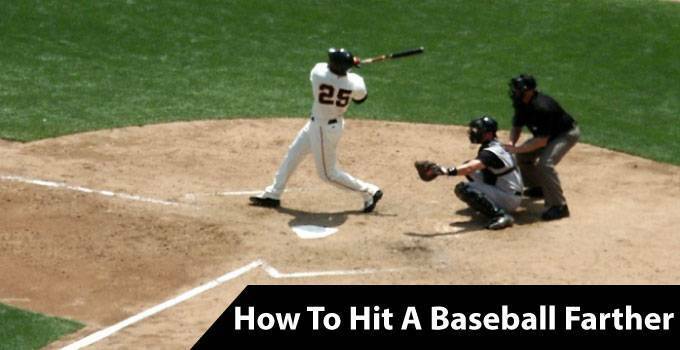 And hitting hard simply means that you hit the baseball as far as possible in the field. 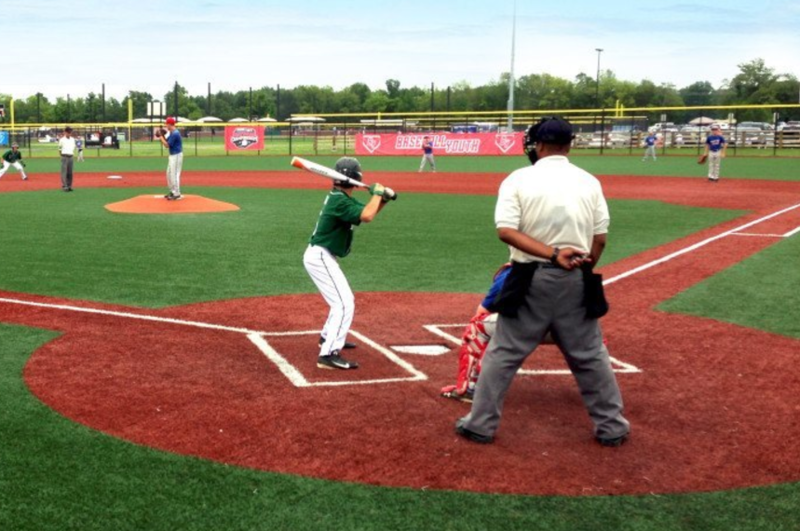 Hitting far is the crux of the baseball game when it comes to batting. And it is precisely on this point that many players make mistakes. Unlike what it may seem, hitting hard is not simply about swinging your bat with power and smacking it right into the ball. Rather, hitting a baseball farther requires diligent training and extensive practice. This is because you need to cognizant of the momentum of your bat, the placement of the baseball on your ball and most importantly, the timing of your swinging. All these factors work together in any good hit. If you are swinging the bat right and have the right power behind the stick but the timing is wrong, you will score a poor hit. Similarly, if your timing and placement is precise but the power behind your bat is slack, you will not hit far at all. Lanky build and weak muscles are not going to cut it if you dream of hitting home runs in a baseball game. You need to build your upper body and muscles, so the most basic thing to do is regularly bring these muscles into action, exercise and toughen them up. Try to do such exercises on a daily basis which involve your entire upper body. This will give you the requisite strength to hit a baseball farther. Most baseball players think that hitting is all about the upper body and that they can simply ignore the fitness of the lower body. This is a grave mistake. When you are swinging your bat on the plate, your legs and trunk are playing a critical role in supporting your swing and adding momentum to it. So make lower body exercises a regular part of your drill as well. The lower body will help you add that extra bit of power into your hitting. The way you hold the handle of a baseball bat determines the speed and power of your hit. If you choke up on the handle and hold the bat closer to the barrel, you are gaining bat swing speed but losing on the hitting power. If you hold closer to the bottom of the bat, you gain hitting power and momentum but lose on the speed. You should extensively practice with both methods of holding the handle and find the golden mean where you are able to swing quickly and still hit the baseball as far as possible. Just before the pitcher pitches the baseball, you should be standing in a perfect stance so that you can hit the ball right. A good stance includes planting your feet firmly on the ground, slightly wider than your shoulders and your weight should be balanced on the balls of your feet. Such a stance will give you the rapid swinging freedom which you need when swinging the bat at the incoming ball. If you want to hit farther, hitting the ball straight-on may not be the best way of doing it. Successful players who tend to score home-runs generally try to focus on hitting at the lower two-thirds of the baseball. This gives the hit both height as well as distance. So the next time you are aiming at hitting far, try to focus on the lower two-thirds of the baseball. This is a tough nut to crack and may take some practicing before you are able to master it. Many players make the mistake of losing the momentum of their swing as soon as they make contact with the ball. This is a mistake. You want to add as much power and momentum as possible to the ball to throw it far. In order to do so, you should continue swinging your bat even after it has hit the ball. A good way of doing this is to assume that you have to hit two other balls immediately behind the ball you are hitting. So you have to continue swinging through the entire motion before stopping. Continued swinging adds extra power to your hit, essentially adding a ‘pushing’ momentum to it apart from the hitting force that you put into it. Very often, players are not able to hit far enough simply because they are wielding the wrong bat. Experiment with different bats and find out the bat that perfectly suits your weight, length and your hitting style. The right bat is critical in helping you score the right hits.